Fully Customizable: Surveys and workflow are made to client specifications on layout, content, edit checks, and visit schedules. Define a Custom Set of User Types: Set user type permission to control access to protocols, site, subject lists, menu items, and features. Set Workflow and Collect Cleaner Data: NEForm was made to mold with existing workflows while also significantly increasing efficiency and data cleanliness. Your Choice of Devices: NEForm can be deployed to tablets or smartphones running iOS or Android. Studies can even use a mix of both. Fully Native: Complete functionality offline, eliminating the most common complaints in eSource data collection, speed, and connectivity. 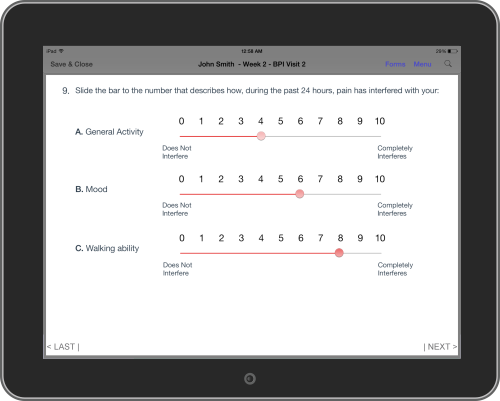 Forms Optimized for Mobile: Entering data with NEForm is fast, intuitive, and accurate and takes advantage of controls native to a device such as the camera and the microphone. Full Range of Form Controls: textbox fields, radiolists, and checkboxes. 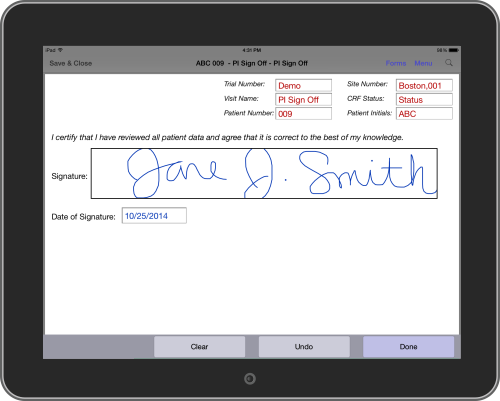 NEForm can also capture signatures, pictures, stylus drawzones, and audiorecordings. Real-time Validation: Edit checks are applied in real-time at point of entry to improve accuracy and completeness of form data, and compliance with study protocol. Fields can be auto-populated from an existing database or pulled from other forms in the study to eliminate inconsistencies and redundant data entry. 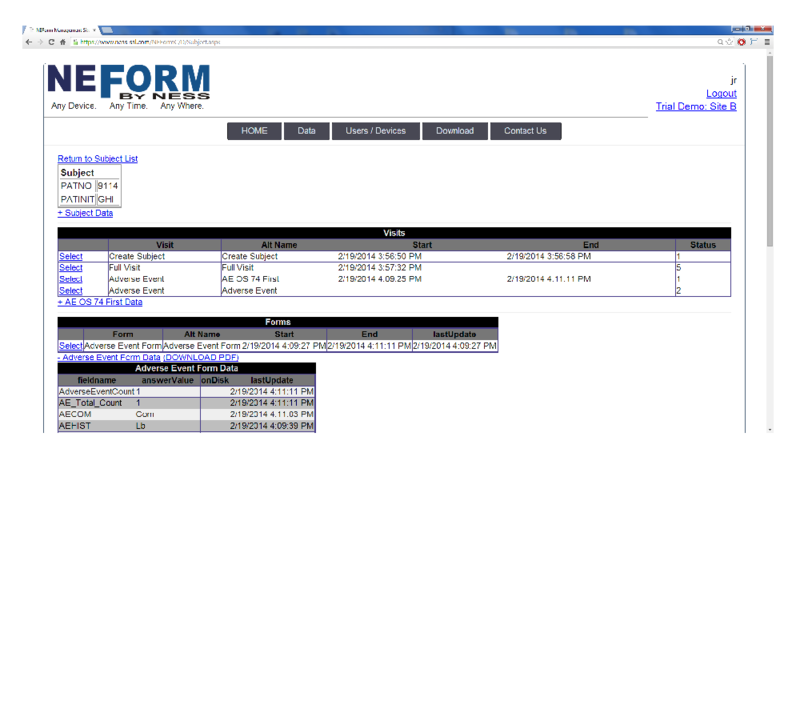 NEForm records full audit trails on all user interactions, pre- and post-submission. Query System: Users can be given permission to create or resolve queries on data that has already been submitted. View Real-time Data: eSource data capture makes it possible for Sponsors and monitors to access the most up-to-date data. Datasets can be viewed or downloaded any time through our WebApp. Easy Mid-Study Changes: Implementing and deploying changes to forms and workflow is made painless with NEForm's nimble design system. Devices automatically implement the changes without an app update. Make the best choice for your eSource data collection platform with NEForm. Below are screenshots demonstrating some of NEForm's features.